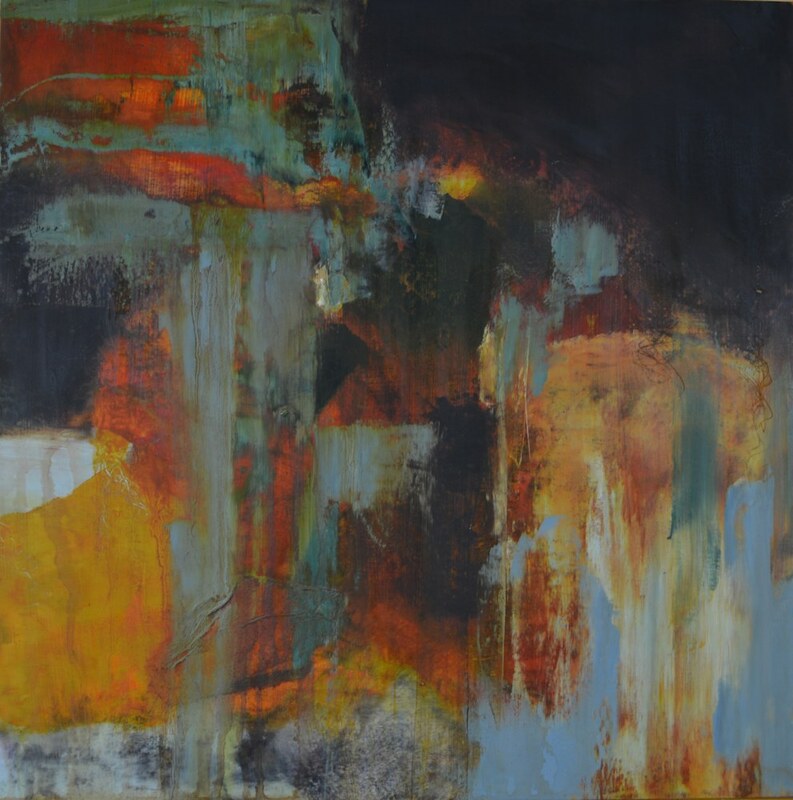 Abstract oil painting with deep earthy tones built of layers to create depth and interest. Deep and engaging oil and cold wax paitning with earthy tones. Deep and engaging imagery with earthy tones. Developed with many overlapping layers of oils to create depth and visual appeal.